At Irwin Air we build and service high pressure breathing air systems for the Fire Service, SCUBA Diving, Hazmat Teams, Industry and Paintball. Our systems are built for continuous duty and reliability. All compressor systems meet or exceed all provincial standards for Grade E breathing air and CSA Z180. 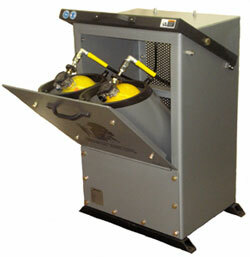 We offer new and rebuilt compressor systems in the 3-24 scfm range with maximum working pressures to 6000psi. Unit 306 - 5327 192nd St.